Basically, one of the most important search engine optiomization techniques is using SEO-friendly URL. Understand that, besides providing the avanced filter for the Magento 2 store to search items, Mageplaza also integrates the SEO-friendly URL feature into the Improved Layered Navigation. As you can see, the URL currently contains the store URL and the collection page name. This is simple, friendly and completely a real-life result which your store must has. More consistent URL, easier to crawl pages throughout the site. Hence, your structured hierarchy URLs will be more preferred by Googlebot. Higher rank in Search Engine Page’s result. Get the Google result page faster with a friendly URL. Easier to promote your site and content by sharing links on other websites as well as on social networks. 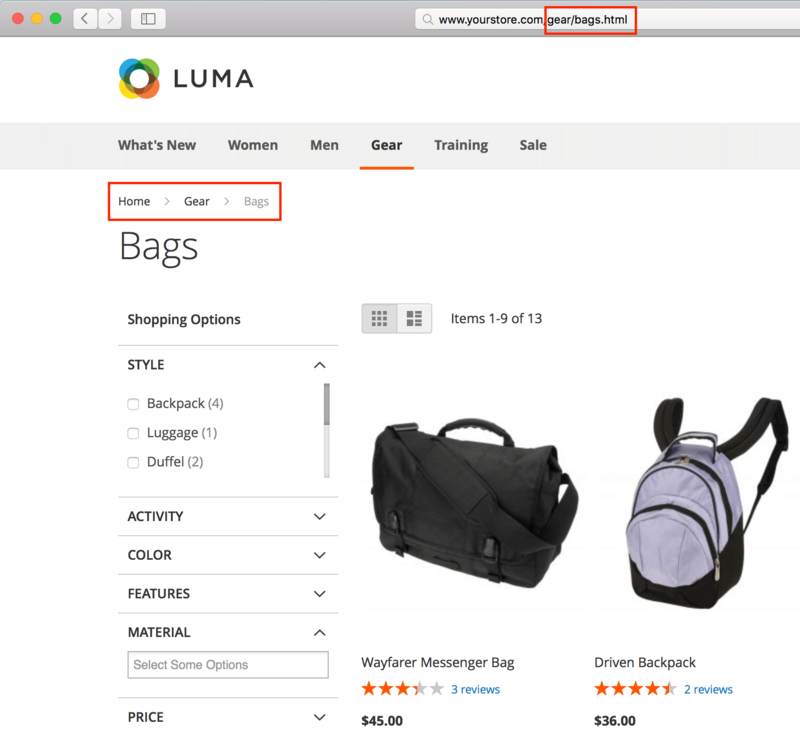 With the simple and easy-to-remember URL, the shoppers can bookmark or use for the next visits to your site. Of course, the better SEO means more visitors go to your store. That means you have more chances to turn a visitor into a customer and make a purchase. It can’t deny that your business will grow significantly.